When coffee is not your cup of tea, keep calm and take time for tea. Whether you’re an occasional or all-in tea drinker, we have a wide assortment of loose leaf choices to accommodate any tea style. No matter your tea time mood, there’s a tea for you! 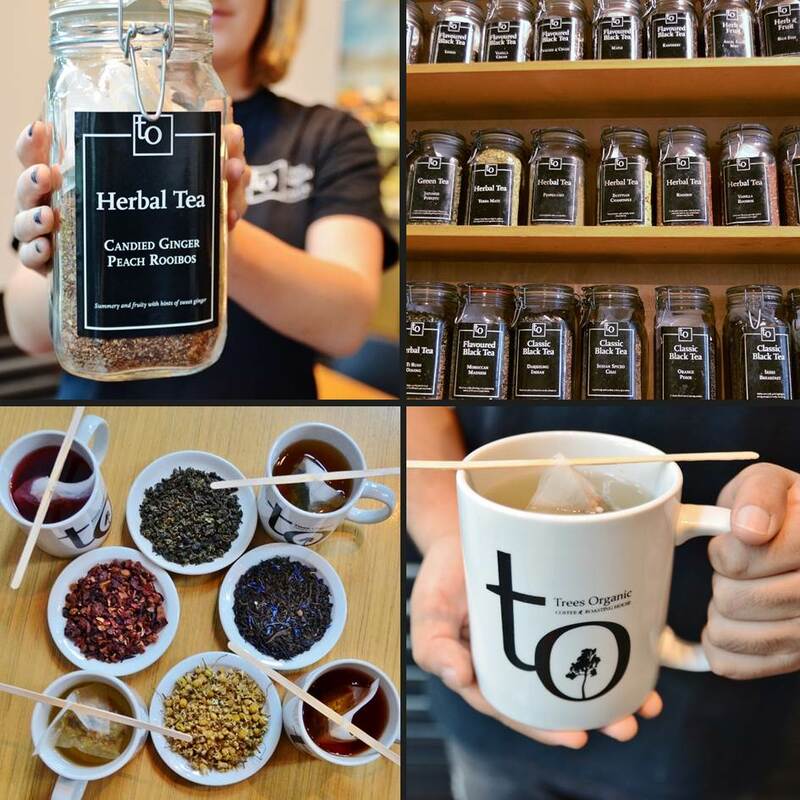 Tea is as much a part of our ethos as coffee, which is why we offer about 30 tea varieties at our flagship Granville Street café and a range of 12-15 varieties at our other four café locations in Vancouver. 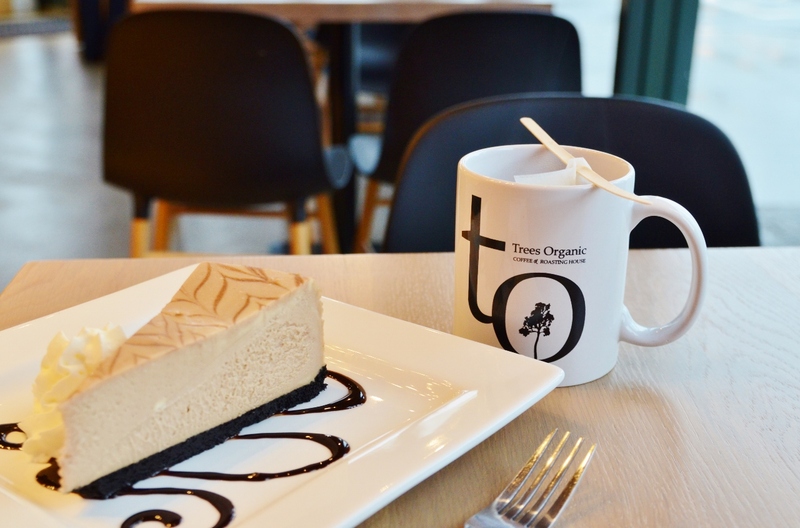 In particular, our South Granville Trees Organic strives to offer only organic teas. Also, any of our loose leaf teas can be purchased to take home in 50 g and 100 g bags. 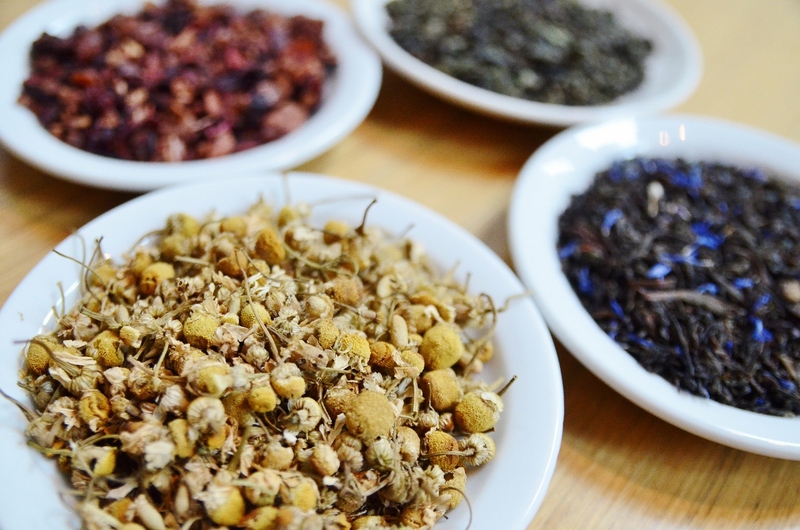 Soothing tea choices abound, from black and green to herbal or fruit. Some of the more popular flavours include Kyoto Cherry Rose (green), Genmaicha (green), Lady Hannah (herbal), Egyptian Chamomile (herbal), Vanilla (rooibos), Candied Ginger Peach (rooibos), Earl Grey (black) and English Breakfast (black). Aside from being enjoyed plain or with a touch of milk, luscious tea drinks with steamed milk (whole, soy, or almond) are also in demand at our cafes – Macha Latte, Chai Latte, and London Fog. In case you didn’t know, the much-loved London Fog was created in Vancouver and is a warming combination of Earl Grey tea, steamed milk and vanilla! When you want a little more pick-me-up in your tea and you’re also a coffee lover, then the Dirty Chai Latte is your drink of choice, made with our spiced chai tea, steamed milk and a single shot of espresso. And, any of our loose leaf teas can be prepared as iced tea for a more refreshing drink. There is plenty of research suggesting that tea offers a host of health benefits. As a short list, Tea may reduce the risk of heart attacks/strokes, protect your bones, boost your immune system, sooth the digestive system, and battle cancer. Green tea in particular has the highest amounts of antioxidants. Because we stand to offer quality products, we only sell and serve loose leaf style teas which is universally known as a far superior way to experience tea. Loose tea usually contains the whole leaves, providing more of the healthy goodness from teas and richer, complex flavours with distinctive taste profiles standing out. In comparison, packaged tea bags contain chopped or crushed particles of tea. More often than not, tea bags contain lower quality tea and lack the subtlety or intensity of flavour characteristics. Tea is originally from China, around 2737 B.C. Legend has it that Shen Nung, the second emperor of China, discovered it when a tea leaves accidentally blew into his boiling water. Today, China is the largest tea producer in the world, followed by India. In general, there are four major tea types – black, oolong, green, and white, and they all come from one plant – Camellia sinensis. The different varieties come from how the leaves are treated or processed. Black tea is the most common and most consumed tea in the world. It is fermented the longest and 100% oxidized. Oolong tea is fermented by not for as long. Green tea is not fermented but steamed or wok fried. White tea is the rarest of all the teas and is made up of the youngest leaves that are picked early (when tea buds aren’t open) then dried briefly. Tea first arrived in Canada in 1716. It was imported by the Hudson Bay Company. Herbal teas are not really teas because they do not contain leaves from the tea plant. Often, they are infusions of roots, nuts, leaves, flowers, seeds and/or fruits from other plants. According to the Tea and Herbal Association of Canada, Canadian tea drinkers average 6.1 cups a week. Tea consumers have an average of 11 types of tea in their cupboard. Coffee and tea aren’t all that different in terms of health benefits or risks. One cup of white tea contains the same amount of antioxidants as 10 cups of apple juice. What it all boils down to is that tea is all about taking your time. Infuse some tea into your day and select from our wide assortment of tea choices, then settle in at any of cozy five locations for as long as you want!